The real weight loss solution! Elegance HCG Tablets is a unique dietary supplement that suppresses the appetite and increases the fat burning process. Elegance HCG Tablets is based on the HCG diet that was discovered over 50 years ago by the British doctor Simeons. Over the years, this diet became famous due to successfully helping thousands of people to lose weight permanently. Scientific development now has made that you can achieve the same fantastic results with the unique Elegance HCG Tablets, without the need for hormones or injections. Together with the supplied diet plan, EleganceHCG Tablets forms a unique 23-day slimming treatment that helps you to lose weight and prevents the yo-yo effect! 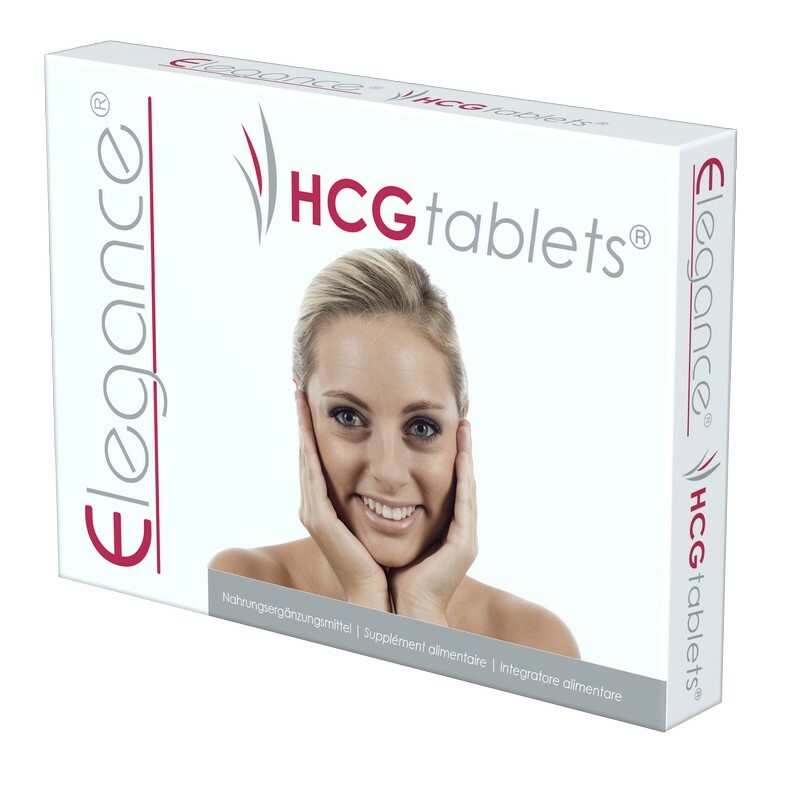 Elegance HCG Tablets are manufactured fully compliant with strict GMP and HACCP standards. It means that procedures are followed that guarantee quality, food safety and hygiene. Elegance HCG Tablets is registered in Brussels under the following NUT-number: NUT/PL1856/3 and is monitored in the Netherlands by the Dutch Food Safety Authority (nieuwe Voedsel en Waren Autoriteit, nVWA). HCG Tablets is allowed in Germany and Austria. Images and texts can differ from country to country.